Chris Harrison & New Girlfriend Lauren Zima Make Red Carpet Debut at Pre-SAG Awards Party! Chris Harrison is going public with his new relationship! The 47-year-old The Bachelor host and new girlfriend Lauren Zima cozied up on the red carpet as they arrived at Entertainment Weekly’s Pre-SAG Awards Party on Saturday night (January 26) at the Chateau Marmont in Los Angeles. Chris and the Entertainment Tonight host have been dating quietly for the past few months, but have been teasing their relationship on social media. Alex Landi, Aja Naomi King, Matt McGorry Attend EW's Pre-SAG Awards Party! 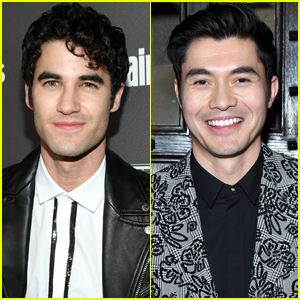 Alex Landi is all smiles as he stops by Entertainment Weekly’s Pre-SAG Awards Party on Saturday night (January 26) at the Chateau Marmont in Los Angeles. 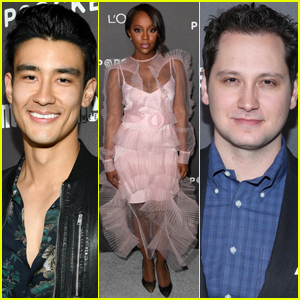 The Grey’s Anatomy newcomer was joined at the event by How to Get Away with Murder stars Aja Naomi King and Matt McGorry. Other stars at the event included Grey’s stars Caterina Scorsone, Jake Borelli, Kelly McCreary, and Jason Winston George along with How to Get Away with Murder‘s Conrad Ricamora and boyfriend Joshua Cockream. FYI: Aja is wearing a Nadya Dzyak dress and Sam Edelman shoes. 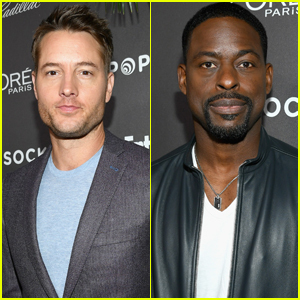 Justin Hartley & Sterling K. Brown Attends EW's SAG Awards Pre-Party! Justin Hartley hits the red carpet as he arrives at the Entertainment Weekly’s Pre-SAG Awards Party on Saturday night (January 26) at the Chateau Marmont in Los Angeles. 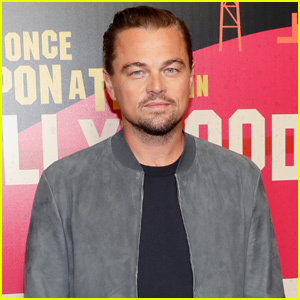 The 41-year-old actor looked handsome in a silver-gray suit and a blue T-shirt as he was joined at the event by his This Is Us co-star Sterling K. Brown and his wife Ryan Michelle Bathe. Other This Is Us cast mates at the party included Jon Huertas, Lonnie Chavis, Parker Bates, and Faithe C. Herman. This Is Us is nominated for two SAG Awards including Outstanding Performance by an Ensemble in a Drama Series. Tune in tomorrow night to see if they win! FYI: Sterling is wearing a Theory suit.